Ahhh Monday again. Did you have a good weekend? I know some of you were snowed in with the storms, hopefully you're out & about today! The weather has been amazing here, couldn't ask for better! On another note, this weekend we finished my MASTER CLOSET! Well, it's actually 98% finished. I'm still considering getting some LEOPARD print wallpaper for the section you can't see behind the doorway. It's such a PLEASURE walking into my closet now, thanks to my dear husband, who made it all happen. I am in awe of his abilities & grateful to God for him! He bought the shoe shelves as plain wood at Home Depot and stained them to match the IKEA closet system. Brilliant! It's all soooo exciting! I have plenty of storage now, with a bunch of large drawers and shelving for all my clothing & more. The shoe & handbag shelves are my favorite part....it feels like a mini BOUTIQUE every time I walk into this closet! When I first started the project, I was UNSURE which direction to head in. However, I knew I wanted something GLAM..... you know, the chandelier, leopard print and shoes stacked endlessly on display! So, tell me...what do you think so far? above: those are just a portion of my handbags, the rest are in the IKEA shelving and behind the door. I think I own 35 handbags. Is that a lot? How many do YOU OWN???? I ACTUALLY had more shoes and handbags.....but I donated them. If I don't use it after a year I will usually just donate it. above: My hanging clothes are to the right behind the closet door. It looks amazing! I am truly inspired! I love your new closet and you have lovely shoes! Jen this looks amazing! Wish I could do this to my closet but when you rent it's hard to justify doing it. You've got some fabulous handbags and shoes too!! Congrats on the new closet. Enjoy it! I LOVE! I am totally jealous. My closet is busting at the seams. Great job! I love it! I must admit... I am a little jealous! Looks great! My closet looks very much like your before pic, pretty blah and uninspired. I think I need to add a little glam and sparkle after seeing yours. What an amazing job you both have done!! It looks absolutley stunning- just like a boutique with the glamorous touches! I'm a bag lady as well so it's never too many! Wow Jen it looks amazing! LOVE IT! Mine is a decent size closet, but you have it beat! 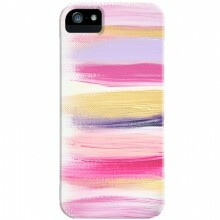 : ) I'm in the process of redoing mine! wow! wow! wow! That look phenomenal! Can I hire you to do mine? haha :) You're whole house is so lovely Jen! Handbags? do not get me started...I own about 60 (last time I checked)...I know so bad....but it includes clutches so I should be forgiven. It looks great!! You did a fabulous job!! I own one mui mui and one tod's...that makes...lets see... TWO!! Closet is GORGEOUS! As is your wardrobe! Ah-mazing ! I think 35 bags sounds perfectly reasonable .... oh, and I need some leopard shoes ! thank you for sharing your gorgeous new closet. it looks AMAZING!! Simply Fabulous! Great job Jen! Holy shite, this is so awesome! Oh my gawd. Amazing! Where do you place your clothing? Is it in a separate closet? I have a walk-in closet right now and need to do something asap to fix the organization! It really is beautiful- the dark shelves are the perfect backdrop for all your awesome shoes! The chandelier and runner are gorgeous too. And 35 is a lot:) I think I have around 10?? But I need to go count now:) I try to keep my shoes narrowed down to about 50- that's about what my shelves hold. it's so gorgeous! I envy your closet! Your closet looks fab-u-lous!!!! Love everything you did!! Love it! Ballard Designs is amazing:-) AND I have like 20 handbags, but I'll catch up lol. Love it all, very inspiring. Actualy as we speak my hubby is installing new shelving in the closet for my heels, yayyy! Psssst I am hosting a Valentine's Swap AND have 3 giveaways on the blog! Amazing! I love how the purses are displayed on the shelves. Such a blessing to have a husband create a stylish space! Love it all, but the jewelry drawer does it for me. What a gorgeous closet, i have serious closet envy! 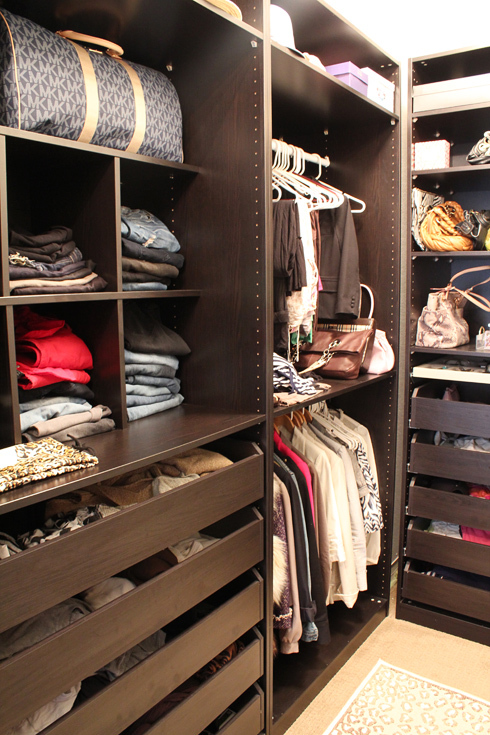 Your closet looks fab, as does the rest of the house! Its just coming along so beautifully, so happy for you Jen! Totally GLAM! I love the shelves with your purses and shoes, good job hubs! holy smokes, girl so amazing, what a dream closet!!! i have loved everything that you've done with your home but I especially love this! it looks perfect. Beautiful! I'm looking forward to hooking up my closet as well. Thanks for the inspiration! Yay! It looks absolutely beautiful.. I love the glam look too for closetsd :) I know you are one happy gal! Oh and yay for handy hubbys! agh! looks gorgeous! It looks like a mini boutique in there! 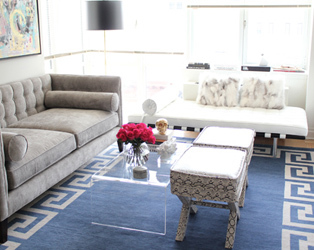 And I'm glad you chose the leopard rug, its so nice! OMG I am LUSTING over this closet!! :) AMAZING!!! Ack, I love it! You're totally right, it is like a boutique. So glam and fun!! So GORGEOUS. My friend is about to do her closet and I want her to see this before she makes any decisions. I'm sure she is going to be as inspired as I am. You did an amazing job. Love the chandelier. You're never going to want to leave your closet!! 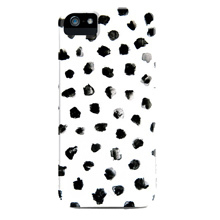 It's so CHIC! Ok... and what about all of those shoes? Lovely ideas! Love how organized it looks and how your clothing adds color to it. 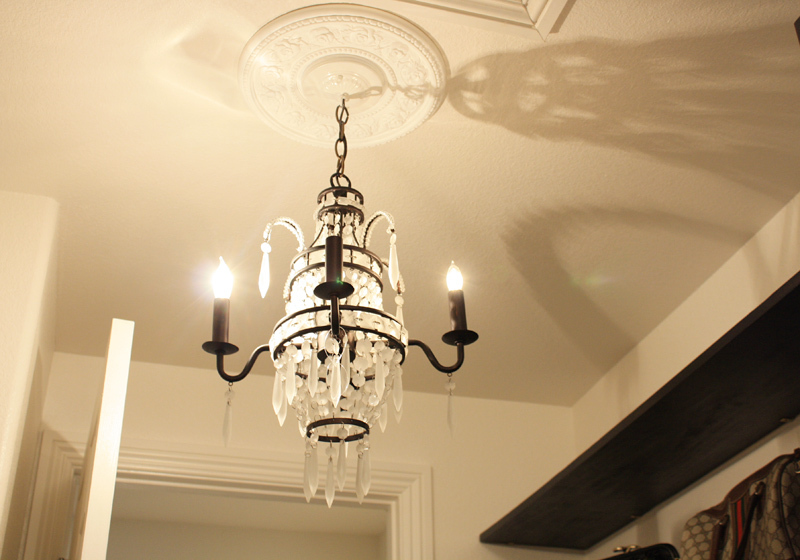 The chandelier is a must in a girl's closet. Have a blessed week, Jen. PS: Thank you for being so kind yesterday. It meant a lot to me. You are seriously the luckiest girl in the world with a hubby like yours - buys you amazing rings, builds you lux closets ... increadible! Definitely a good lookin' closet! Great job. What an amazing transformation! I had no clue it would look like it did "before" when I was scrolling down. That's amazing! Kudos to the hubby! you have great taste in decorating & shoes!! it looks awesome! wish it was mine! Love it.. You have been one busy girl..
Looks incredible! I think I was just drooling!!! It looks amazing Jen! Great work! I love that python bag and would love to know where you got it from. Well done to you and your guy on transforming a beautiful house into a truely inspiring home. Stunning...looks great. I love that no matter how small the space..or whether anyone else will see it...you try to make every inch gorgeous. Kuddos to your husband. I'm literally gasping- it's so so good. I'm actually insanely jealous- adore everything and that chandelier is ridiculously good. I think you're one lucky girl!! Jen seriously - your closet is fantastic. Wow...so beautiful, what lovely inspiration! Wow! I am so jealous! that's what I need to do...i'm bursting at the seams!! love it!!! i literally have started to shove my purses into kitchen cabinets! aiya! What a fabulous closet! Especially love the chandelier. It almost looks like it's bigger than in the before picture. ...please no one can have too many shoes or handbags!....until you run out of room lol or your considering taking pantry space as more closet space lol. great reno...and a pat on the back to your husband too! Love it!!! Oh wow! I want to do that and collect many more bags and shoes! Do tell about your leopard clutch next to the pink pumps. 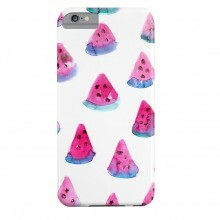 I want it!! I LOVE IT! You did such a great job and everything turned out so well. 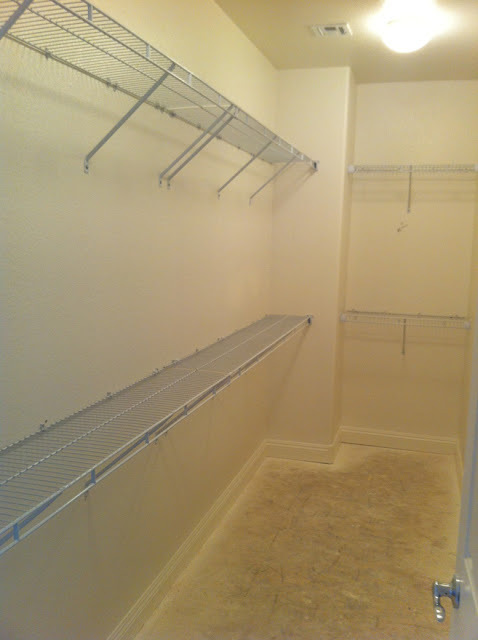 I am jelous of your perfectly organized closet. I love the hardware and the rug choice too! Great Job! Thank you..! That clutch is actually from H & M - love it! 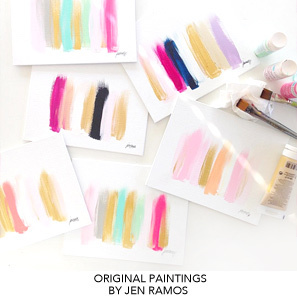 This looks so great Jen! You've inspired me to get my closet together! Oh I'm just dreaming of closets built looooong after 1941. I can barely fit a shirt in my closet let alone three Ikea units. Sooooooo envious! Wow Jen!! That looks amazing! I love how everything is displayed like at a glamorous boutique. I just posted a picture of how jammed my closet is...I will certainly be using yours as a source of inspiration!! So impressed! That looks fantastic!! You guys did a great job!! Love the black shelving with carpet and chandelier. Very glam!! Jen, this closet is absolutely incred! It makes me think of when Big has the master closet made for Carrie:) that is love when a guy takes your girly fantasy and makes it reality! Congrats! Is wonderful when we have enough space, makes us want to dress up more often. Wow! What a transformation! I love seeing before and afters like this - thanks for sharing and inspiring. I am so freaking jealous!! It looks great Jen! I am dying to do mine, I was thinking of getting leopard Flor tiles and doing a mini-chandelier. Unfortunately the person who owned the house before me put in a built-in closet but it's slightly crooked and drives me crazy--you are inspiring me to finally get around to fixing it up! love love love love love yor closet!!! Beautiful. I to am looking into Ikea closet redo, was it an easy process with measuring and installing? wow just amazing. You definitely achieved that Boutique feeling. I love your closet! No, I do not think you have too many bags...you can never have enough! 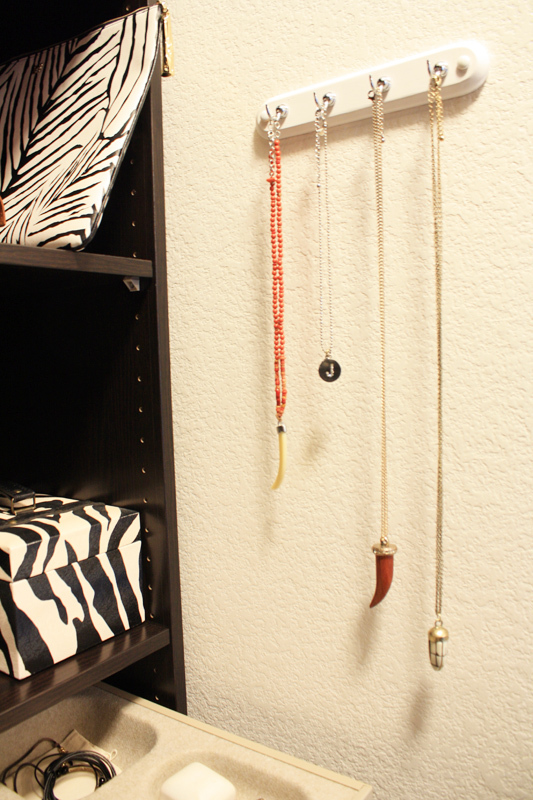 Your closet looks really fabulous Jen, great work - I love the colors and leopard!! I'm in complete envy! I love, love, love it! Can you come do mine? PS 35 handbags is definitely a lot, and are they all brand name? If so, I'm jealous! I'm just getting started on my handbag collection since I can afford it now. That is one of the nicest transformations of a closet I have seen.Looks amazing! I need this closet!! its my dream!!! Wow! That looks gorgeous! I don't know anyone who doesn't envy an organized and stylin closet! Girl, I love it! Try sticking rolled magazines in your knee and above length boots to keep them standing. An amazing transformation. 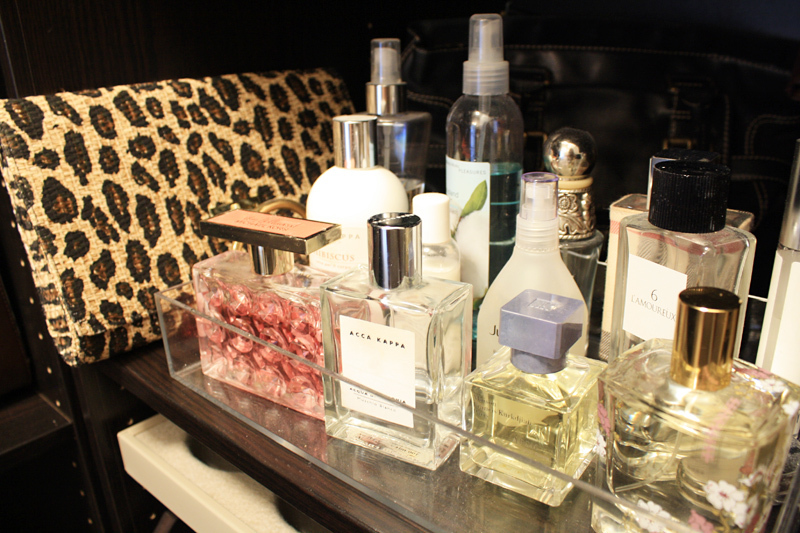 Love the tray of perfumes and I have the same H&M leopard clutch. Your closet turned out so GREAT! I am so glad you stopped by Design Parlor, thanks for your comment! I know Tom Ford makes lipstick-can't get any better than that. Let me know what color you get!! xoxo Happy New Year! Gorgeous, it is a dream! I am so jealous! You and your husband did an amazing job. It looks great. 35 handbags is kind of alot...I have about 15, and I thought that was bad! But more power to ya! YES!! I think I will be doing that at some point..I thought about putting tubes, but i like your idea of rolled magazines BETTER!! thanks!! My bf let me have the walk-in but all my stuff still seems so crammed and unorganized! I hear angels singing when I look at your closet. What a dream and your husband is a winner as I've said one hundred times over. Love a guy who keeps his woman happy. Makes me want to go home after work today and do an mini-makeover of my own closet. In fact, with the Boston weather the way it is, I can't think of a better way to spend a Wed night. Thanks, Jen! Gorgeous! You are a lucky, lucky lady :) I don't know how many handbags I have...I guess if you include shoulder bags I have about a dozen? I have tons of shoes though! There are two words for what I'm feeling right now: JEALOUS and INSPIRED. ;) Jealous because I wish I had that closet, and all those shoes, but Inspired because if I take a second look at my non-walk in closet I just might be able to create something glam of my own if I just take a moment to plan it out (and BEG hubby to build it). I am so jealous of all that space you have!! What an amazing closet to walk into everyday- its perfect! this is absolutely amazing, wow! jen, you closet looks wonderful. i love before and afters. totally agree about having skylights in closets. my huz is planning a new closet for us too, and this is helpful. we looked at several solutions, cal closets, easy closets, container store, ikea and now we have a better idea of what we want. i think huz wants to build most of it himself(once he's done with home office) so we can truly customize. how are you organizing your jewelry? earrings and such? MOCHATINI: I also looked at different options & they were all sooo $$$. LOVE it! It's just awesome. Wow! So glam. Love the chandelier! It seriously is like a little boutique in there. Amazing! I know you must be so proud and feel like such a girl every time you walk in there :) The leopard runner is the perfect touch. Such a nice transformation! the personal touches really finish it off. My closet has those stupid hanger/shelves that yours did. I would LOVE a revamp like this somehow. As for bags, I don't have 35... but I would like to have a few more. Unfortunately I beat up my bags so badly!! What a fabulous master closet! I don't think that I could resist using the fun runner as catwalk every time I got dressed! Way to show off your clothes and accessories to best advantage-- can't wait until I can have a great closet myself someday! Found your blog and L.O.V.E it! And, I am bout to remodel my master closet...your design is GORGeous. Found your blog and L.O.V.E it! I'm about to remodel my Master Closet and you design is GORGeous. Thanks! very much inspired by you!!!! Your closet is Ahhh-mazing! 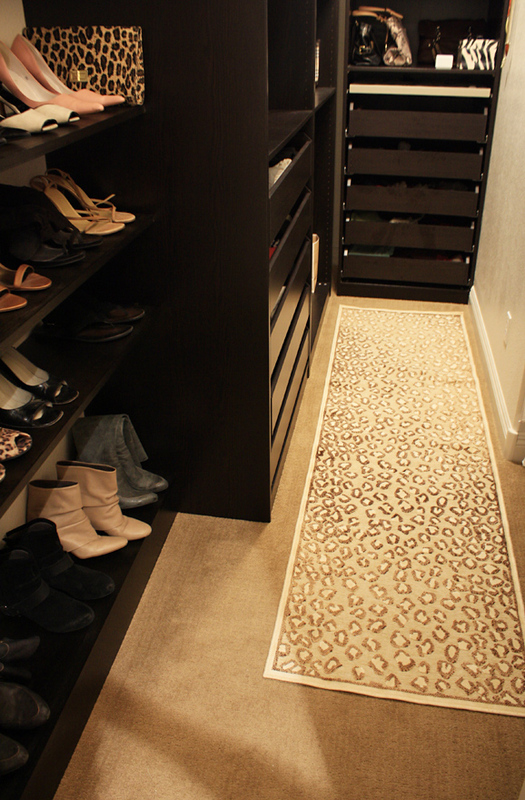 I love the way you maximized the small space...to house ALL 1 billion pairs of shoes you have! Love the dark wood and cheetah runner. I'm keeping this one in my inspiration folder! Closets...they are so important to us!lol. Like you, I completely ripped out our ugly wire shelves and installed shelves, Ikea wardrobe storage, a bench, and a mirror. When I finished it must have been one of the happiest days of my life! He-He. I have an 8 foot wall that has all of my shoes on it, its literlly a shrine to my shoes.lol. It looks amazing! You have the most fantastic style and ideas~~!! You have inspired me to re-do my linen closet, can you tell us what mechanism your hubby used for the plank shoe shelves?